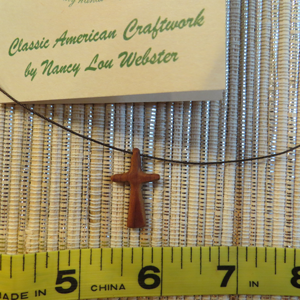 Nancy Lou Webster’s handcrafted items, each uniquely inspired and painstakingly designed crosses. 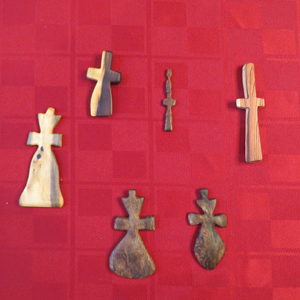 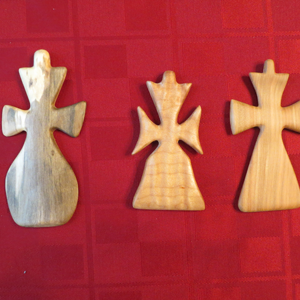 All crosses are hand whittled and takes from 3 to four hours to complete. 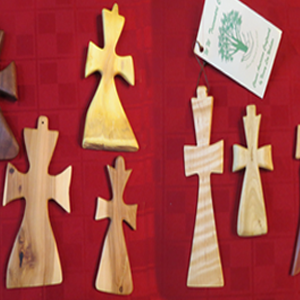 They are made from Oak, Cedar or Mesquite.